From its position near the largest lake in Australasia, The Phoenix Resort is ideally situated to provide glorious views. These Taupo timeshares for sale additionally promise relaxing days and nights surrounded by the comforts of a true holiday home. If you'd like to become familiar with one of the foremost resort destinations in New Zealand, then this property is an excellent choice. Gorgeous Lake Taupo rests in the caldera of ancient Taupo Volcano. Impressive peaks, like Mount Ruapehu, still are found nearby, and this means that skiing is on the itinerary. Of course, most people come here to spend time in or on the lake with a cruise, swimming and kayak expeditions. Walks that tour the region's many geothermal features also are popular. Most people take the time to visit Mine Bay where they can see ancient Maori rock carvings. Visits to a prawn farm and powerful Huka Falls similarly are on the agenda of most visitors. Golfing, hiking and mountain biking call to other tourists. There's never an excuse for being bored in this part of New Zealand. The Phoenix Resort is in the center of it all, just a few steps away from the lakeshore. With the accommodations nestled in the midst of a thriving rose garden, this timeshare property is designed for beauty and privacy. Barbecue grills are scattered amongst the landscaping to provide the ideal conditions for a cookout. Wi-Fi access makes it easy to stay connected, while free parking ensures a convenient and economical stay. 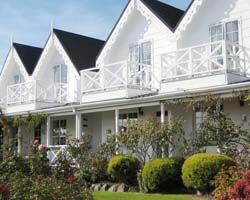 In addition to the fabulous location, these Taupo timeshares for sale are recognized for their quality. Guests may choose from among studios for two people, one-bedroom apartments for four and two-bedroom apartments for six. Perhaps the best part of the accommodations is the presence of a private geothermal spa in every room. This means that there is no need to wander far when you want to experience the rejuvenating mineral waters of the region. Accommodations also have kitchens and access to laundry facilities. 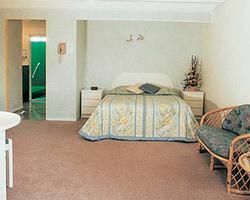 The Phoenix Resort boasts outstanding facilities and location. These Taupo timeshares for sale are perfect for travelers who love the lakeside lifestyle. Contact Phoenix Resort, The Specialist Today!